Here is a simple and healthy side dish you can pair with any meal! 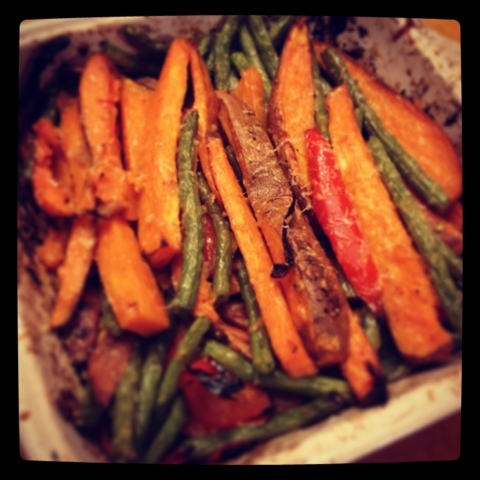 We love roasting veggies and sweet potatoes as they always turn out delicious and couldn't be any easier!! Tonight we're simply chopping up sweet potatoes, yellow onions, red peppers and green beans and then let our ovens get to work. We roast them to perfection with garlic, lemon zest, chili powder and just a hint of nutty Parmesan cheese. Yum!